Retaining walls perform a critical function in residential landscaping. They are used to hold back steep hillsides and turn steep slopes into functional space in your outdoor landscape. While they are a functional element, they can also be an aesthetic focal point that can help to define your outdoor living space. A block retaining wall is an excellent option as a structurally stable, low-maintenance, highly flexible and extremely durable solution for your landscaping needs. They're available in a wide range of colors and textures to complement your California Bay area home and landscape. Block retaining walls can be used for extending your patio, create decking around your pool, or as built-in seating for your outdoor living space. 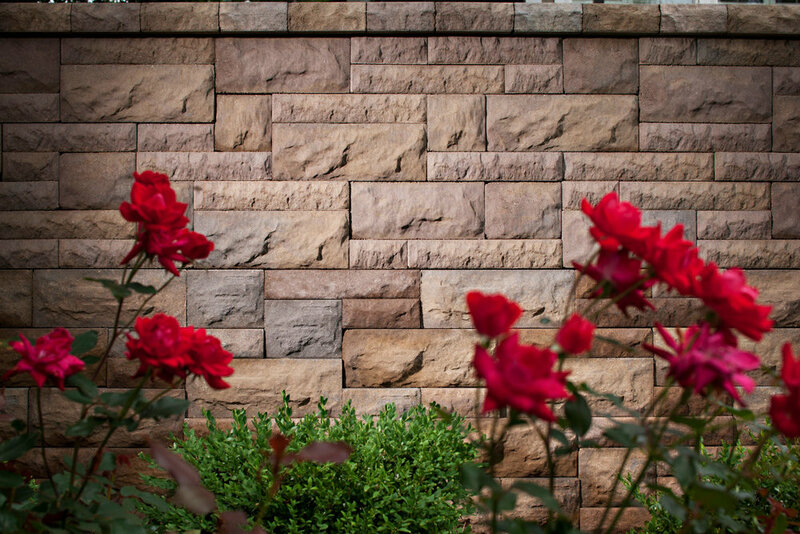 A block retaining wall is constructed of both engineered and natural materials. How the wall is built determines it's function and whether or not it is structurally sound. The best solution to ensure both is to work with a professional hardscaping contractor. They know your local building codes and can complete the job at the highest levels of quality, efficiency, and safety. They understand the structural requirements, can recommend the best materials, and possess the skills, and knowledge to design a block retaining wall that will last for decades. Here are the materials that are typically used when creating a block retaining wall. The facing of a retaining wall system is constructed of dry-cast concrete units. Blocks are manufactured to the highest industry standards to ensure that they meet the necessary strength requirements to hold back tons of earth safely. They are designed to provide a lifetime of maintenance-free performance. The soil is an essential element that ensures the successful functioning of your retaining wall system. Typically backfill consists of sand and gravel. If the earth on site is mainly clay or topsoil, a granular material must be first installed at the base of the wall to ensure stability and proper drainage. Once the wall is constructed, an aggregate or gravel fill layer is placed along the bottom, back side of the wall. The gravel fill acts as a buffer layer between the soil and the wall and serves as a drainage zone to remove incidental water from behind the wall. This gravel layer allows water that passes through the earth to move toward the final element of the system, which is a drainage pipe. The gravel acts in conjunction with the drainage pipe system to remove water from behind the wall. Drainage is a critical element of a retaining wall. It ensures the safety and structural integrity of the wall over its lifetime. While the soil and gravel act as drainage elements, installation of a drainage pipe is necessary to ensure proper water removal. Typically, it's either a perforated, corrugated plastic pipe or perforated PVC pipe. It is laid behind the wall and provides a path for the water to collect and drain away from the interior of the wall, having it exit through the facing, or out from the side of the wall. Some applications require additional structural support be built into the system. In these cases, an extra layer is added. This material is called geo-grid, and it is placed between the layers of the wall as it is being built. Geo-grid is a synthetic material that provides additional support to the structure by unifying the soil and the facing into a single cohesive unit. Depending on the structural needs of your retaining wall, your contractor may use geo-grid in its construction. Water is one of the most significant potential dangers to any retaining wall. If proper drainage is not built into the system, water has the potential to stand and pool behind the wall. If it is not able to disperse in a reasonable time, water pressure can begin to build behind the wall and push on the wall, resulting in catastrophic failure. This is why gravel and drainage pipes are installed. Water management not only has to occur at the base of the wall, but it also needs to occur above the wall. The soil needs to be graded to drain water away from the wall and to prevent it from flowing over the face of the wall. As with any structure, proper water management during construction can avoid future problems, such as erosion from impacting its structural integrity. Retaining walls are important structural elements of your landscape design. They require proper design and construction to function safely and remain structurally sound. A professional hardscaping contractor will engineer and design your wall, prepare the site, and construct the wall to meet your local building codes and live up to the highest quality and safety standards. If you're considering adding a block retaining wall to your Sonoma County home, give the experts at Bayside Pavers a call at 1-866-287-2837. We can help you design and install a retaining wall to meet your home's unique needs. Our knowledgeable team members are ready to help you create the outdoor living space you've been dreaming about!